A beachfront resort in Fort Lauderdale, Florida, is summer-ready completing its final phase of a multi-million-dollar renovation. The renovation project included upgrades to all 484 accommodations including suites and penthouse suites as well as its spacious lobby and meeting space, boasting a coastal-chic vibe, inspired by the property’s serene waterside backdrop. 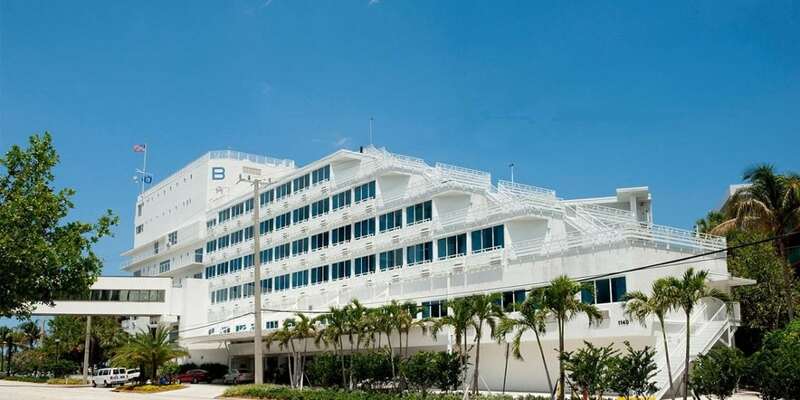 B Ocean Resort in Fort Lauderdale, Florida, completed its last stage of the all-encompassing redesign. While the historic hotel’s façade remains intact, all four towers that make up the oceanside property, has implemented sustainable architectural enhancements to the interior and exterior including a 50-foot skylight, guestroom windows and roof work. Originally built in 1956 as the Yankee Clipper, named after its ship-like structure, the hotel quickly became a popular place to visit for American favorites Marilyn Monroe, Joe DiMaggio and Robert De Niro to name a few. As one of the few beachfront hotels in the city along the Atlantic Ocean, B Ocean Resort incorporated historic elements and blended them to create a more modern, sleek, and stylish feel. Guests are treated to two outdoor infinity edge swimming pools, a 24-hour state-of-the-art B Active Fitness Center, two B Indulged Spa Suites and over 14,000 sq. ft. of indoor and outdoor meeting space that has expanded onto the second floor. The second floor Point Room offers floor-to-ceiling windows with an attached spacious outdoor beachfront terrace and equipped with the latest technology, an ideal venue for high end corporate and social events. B Ocean’s private beach, pool decks and first level ballroom are also perfect options for large group events, meetings or weddings. As a full-service, B Ocean offers an array food and beverage options including Naked Crab, Salty Siren, The Clipper Express grab-n-go, and its world-famous Wreck Bar, a favorite to locals and travelers since the 1950s. The Wreck Bar was originally designed to resemble an underwater shipwreck highlighted by its expansive aquariums and porthole-shaped views looking into the hotels’ main pool where the bar hosts the MeduSirena Mermaid Show, a live underwater aquatic performance every Friday and Saturday night. B Ocean Resort is one of the latest properties to unveil under the national lifestyle hotel brand, B Hotels & Resorts, conveniently located directly right on the beach on the famed coastal highway A1A, just minutes from Fort Lauderdale-Hollywood International Airport, Port Everglades and downtown Las Olas Boulevard. For more information or to book a stay at B Ocean Resort, visit: bhotelsandresorts.com/b-ocean or contact the resort at 954.564.1000. Follow @BOceanResort on Instagram and Twitter and @BOceanResortFortLauderdale on Facebook.